It’s no secret that a wholesale mattress factory is the best place to buy a bed. With no middleman to pay commission or stocking fees, you can save by going directly through a mattress manufacturer. But when trying to decide which wholesale mattress factory to buy from, you should definitely take your time. Especially since comfort, durability and price can vary greatly from one company to the next. 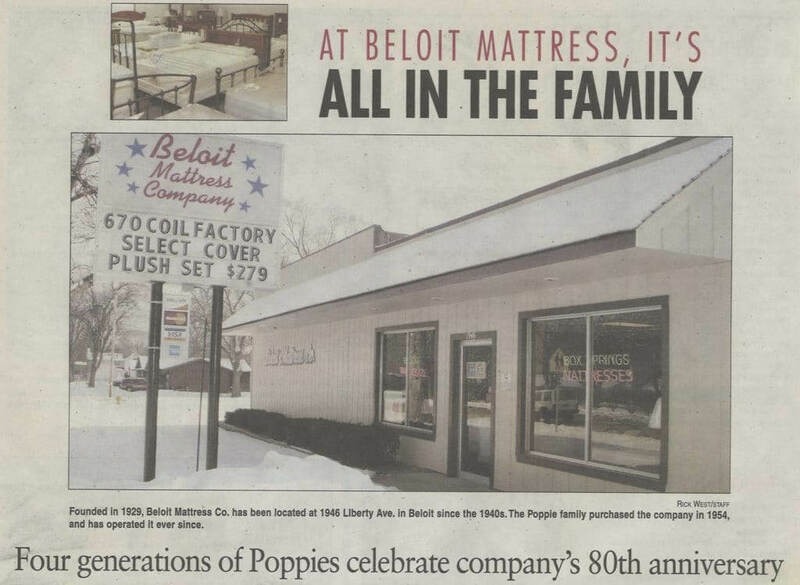 Beloit Mattress Company has been handcrafting mattresses since 1929 and selling them directly to consumers and businesses. Here’s why we’re the best choice for your needs. Not many companies have been in the mattress business for nearly a century — and we certainly don’t know many that are family owned and operated. Every employee in our company knows about the importance of quality in each mattress. That’s why each bed we make is stitched by hand and double checked for durability. While some other wholesale mattress manufacturers use harmful chemicals and other unnatural materials, we still use safe and eco-friendly organic cotton, natural latex, and CertiPUR-US certified foams. We pride ourselves on the same thing our founders set out to accomplish: Offering the highest quality, most comfortable beds at affordable prices. Whether you need a twin, full, queen or king, and even if you’re looking for a twin XL or California king, we’re able to build a mattress to suit each and every person in your home. As a wholesale mattress factory, we also have the flexibility to make you a mattress that will fit your preferred firmness level. We’ll work with closely with you from the moment you walk in to find out what type of bed will help you sleep better — whether that means fixing your back pain, reducing your snoring problem, or allowing you to sleep more soundly with a partner. Need to replace a large number of mattresses in your hotel, resort or dorm? No problem! We are the preferred wholesale mattress manufacturer for hospitality businesses throughout the Midwest. No matter how many mattresses you need, we take our time building each one by hand to ensure your guests stay comfortable and that you won’t be replacing your beds for a long time. And because we make our mattresses and deliver them straight to you, we’re able to price our bulk orders better than any other wholesale mattress factory can. When you trust Beloit Mattress Factory with your sleep or business needs, we don’t consider you just another customer. We are truly interested in improving your sleep as well as delivering quality products. For those reasons, we offer unbeatable warranties and a 60-day satisfaction guarantee. You can come to us with any concerns you have and we will always address your concerns — just like we do with our own family. Skip the Other Wholesale Mattress Stores and Head to Beloit! At Beloit Mattress Factory you get handmade beds, incredible comfort, and unbeatable service — all at the most affordable prices. Contact us today or visit a store near you!